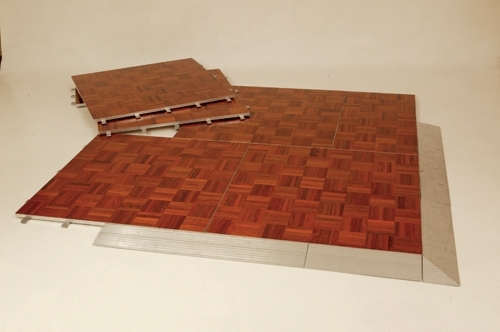 ** Portable Dance Floor 15’ x 12’ with edging strip. Other sizes available on request – please ask for a quote. ** Please note that this item must be delivered and fitted by our staff. Collection only hires are not available for dance floors.